It is this time of the year again that you have to choose a destination for you summer holidays. You have worked hard, you saved a bit of money, not enough but you are getting there. However, you can’t make up your mind where to go for your summer vacations. You have looked into many brochures, you searched on-line but they all look the same boring package holidays, there is nothing exiting for you. 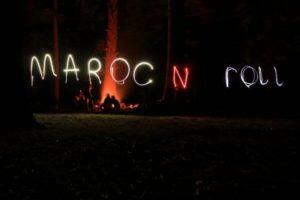 “ Maroc N Roll 2016 ” will take place next summer between the 4th and the 21st of June. 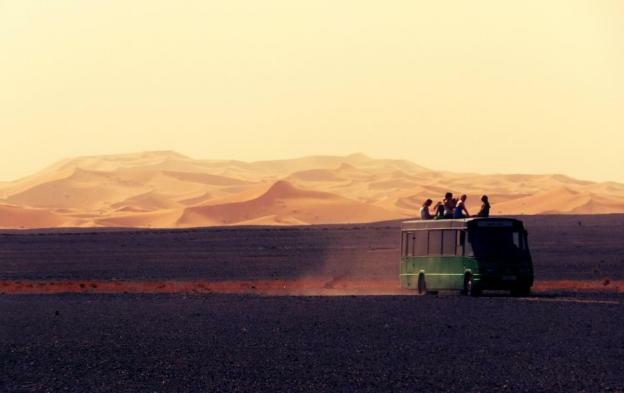 It is a 2 to 3 week road trip around Morocco, a group of 20 plus travelers will be taking part in this adventure. Staying in a variety of accommodations from rooftop terraces to desert hotels, Berber tents and even sleeping under the stars. The trip has been organized and run by Barney and Lizzie who are both former students of Oxford Brookes University. 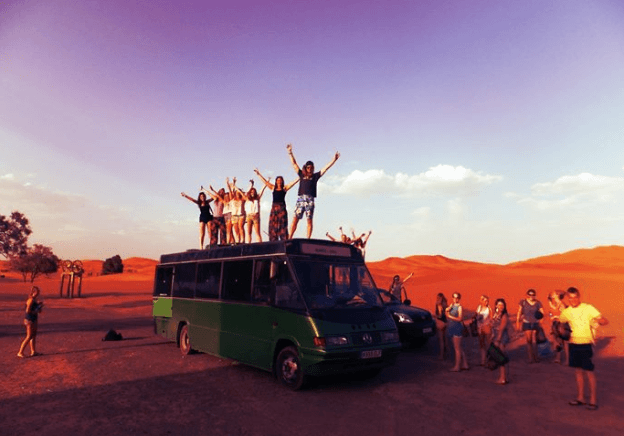 Most of the participants of the trip are 18 to 35 year old but all are welcome as long as they have a healthy sense of humour and a love of adventure travel. 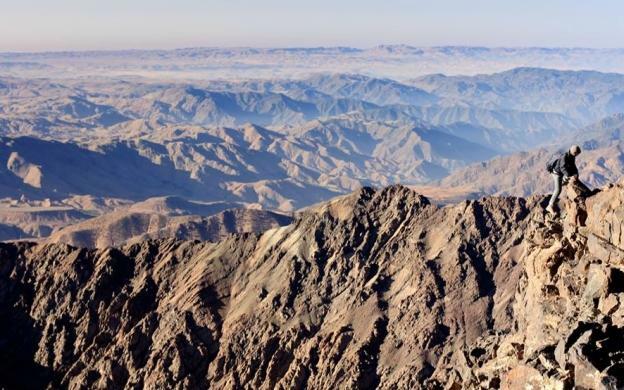 The highest mountain in North Africa; the largest desert in the world; goats that climb trees; a camel burger; a camel ride (not the same camel ;), big jumps off waterfalls and camping out with nomads. 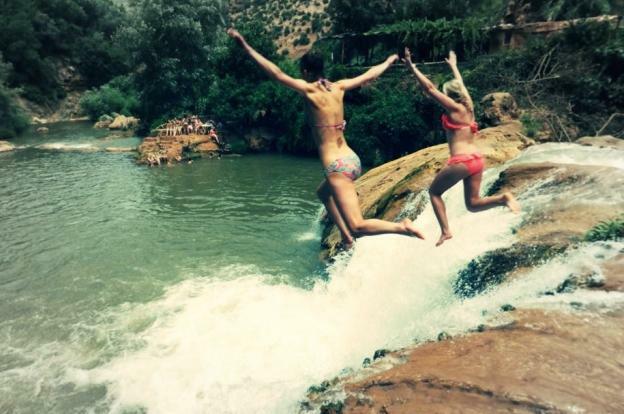 These are just a fraction of what’s on offer in this summer’s Maroc N Roll 2016 adventure! Day 1-3 What better place to start a trip than on a beach – Essouaria, a great surfing town on the windy Atlantic coast this is the perfect spot to start our trip. Horse riding, quad biking, surfing and wind surfing are all options here where we stay together in one huge apartment in the centre of the old medina. Day 4 Marrakech – for those of you still wondering at the wonderful sunsets on the beach and the lapping of the waves on your toes…wake up!! Day 5-6 Toubkal is North Africa’s highest mountain and at half the height of Everest this is no picnic. 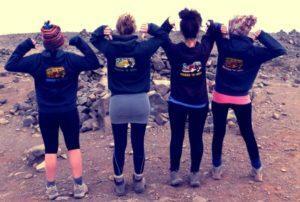 It takes 2 days and nights to summit but for those of you that make it it’s worth every enduring step! There’s no experience or equipment needed here, it’s a simple case of mind over matter as you head past tiny Berber villages and up the slopes of the High Atlas mountains before sleeping at the base camp and making your final push for the summit through the odd pile of snow left over from the winter. 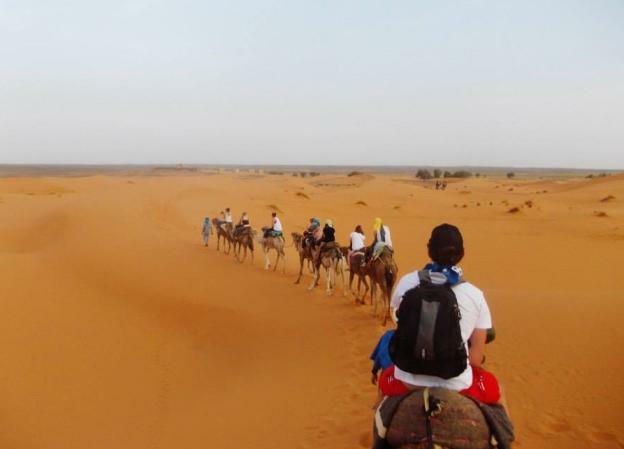 Day 7 Back to Marrakech to rest and recuperate – you’ll need it. Day 8-9 Cascades D’ouzoud – the largest waterfalls in Morocco these are really spectacular. Over 100 ft. high and surrounded by campsites and restaurants you can even take a tiny boat and get rowed into the falls themselves – as long as you don’t mind getting wet! We’ll be staying in some Berber tents down below the falls giving us a great view for 2 days whiling away the time jumping off high things or exploring the pathways on foot. Day 10 Ait Benhaddou – ‘Hollywood of Morocco’ this is the setting of numerous movies and TV including ‘Gladiator’, ‘Babel’ ‘Kingdom of Heaven’ and more recently ‘Game of Thrones’. One night here sleeping on the rooftops before heading towards the desert. Day 11-12 Todra Gorge – A couple of hours from the desert and we’re in a completely different setting but just as stunning. A huge gorge in the rocks here opens up to offer spectacular views and some great climbing opportunities. Ropes, helmets and harnesses supplied for those of you wanting to scale the cliffs. For the rest of you just chill out by the pool washing the sand off yourselves from the desert or walk through the beautiful palmery that covers the river bed below. Day 13 Sahara & Erfoud – Arriving in the desert kingdom of Erfoud we’ll have lunch a look around this interesting ‘gateway to the desert’ town. Then in the afternoon we’ll head off to Merzouga where we chill out in a plush hotel with swimming pool before our night in the dunes commences. If a night in the dunes just isn’t for you then yes you can stay in the plush hotel for the same price as the camel trek. 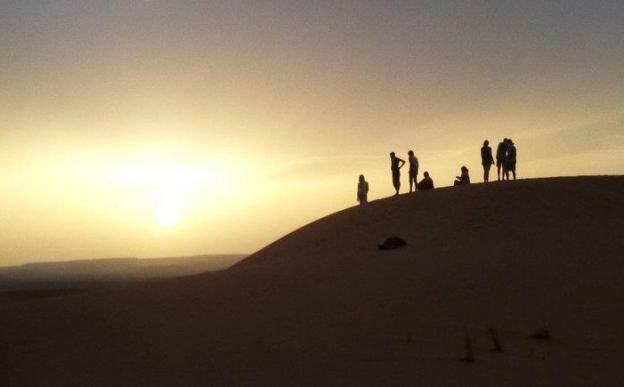 As evening draws in it’s off road into the desert by camel for a 2 hour trek into the dunes. Sleeping under the stars or in a bed – the choice is yours – you’ll dine in the dunes before sleeping then waking up to the sun creeping over the sand. Leaving before it gets too hot out here we head back with our camels for our next adventure. Day 14 Camping with the Nomads. Now that you’re familiar with the culture let’s go and meet some locals, and enjoy their hospitality. Heading south towards the desert we’ll stop over and camp under the stars surrounded by forests where you may well spot a monkey or two as well as learn to make some bread or weave a carpet nomad style. Day 15-17 Chefchaouen – Hidden in the Rif mountains and only really visible once you are upon it, Chefchaoeun is a stunningly beautiful, chilled out blue and white village where we begin our adventure. A day trip to paradise falls here in Akchour make this an unforgettable way to start the journey and bring you gently into the dramatic culture change from Europe to North Africa. Staying in a small hotel in the centre of the town. Day 18 Heading back to London from Tangier or Rabat on the coast. This is not a holiday, this is the travel adventure of a life time. So you better hurry up as places are getting filled up really quickly. For more information on how to book your “Moroc N Roll 2016” adventure please contact Barney and Lizzie on Facebook.